The third (and long overdue) installment in my (intended) series of profiles on bands that I believe to be amongst the best of all time, as well as those that have had the biggest impact on me personally and musically, is finally here. My first was on The Beatles, the second on The Who, and this third is on another contemporary band of both and one that is just as legendary: The Kinks. For those who don't know, the above photo is the original line-up of the band 1964-1969. Back row left to right: Pete Quaife (bass guitar, backing vocals), Dave Davies (lead guitar, vocals), Mick Avory (drums). Sitting/front: Ray Davies (lead vocals, rhythm guitar, piano/keyboards, songwriting). 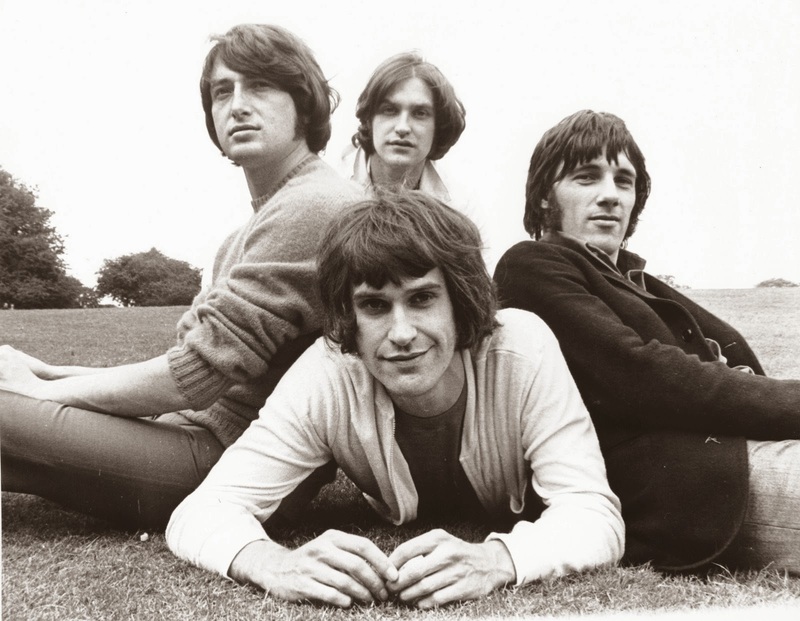 The Kinks hailed from Muswill Hill in north London and were centered around the Davies brothers, Ray and Dave. With Ray's schoolfriend Pete Quaife, they were in various bands together starting in 1961 until forming the Kinks in early 1964. The line-up was completed with the addition of drummer Mick Avory early in 1964. The band went through various line-up changes: Quaife took a hiatus from the band in 1966 due to injuries from a car accident and quit the band. He was replaced by John Dalton; however, Quaife returned months later and stayed with the band until early 1969 when he quit for good and was permanently replaced by Dalton. John Gosling joined on keyboards in 1970 and this line-up would remain stable until the late 1970s when both Dalton and Gosling left, to be replaced by Jim Rodford and Ian Gibbons, respectively (both of who would remain with the band until the end in 1996). Avory left the band in 1984 and was replaced by Bob Henrit, who remained until 1996 when the band folded. So as you can see, apart from Avory's twenty year tenure with the band, the only constants were the Davies brothers. The band centered on the songwriting of Ray and the brotherly love/hate relationship between him and Dave. Starting off as an R&B/blues based band, they steadily evolved from their early garage/punk days to become the quintessentially English rock band of the mid to late 1960s. A detour into full-blown theatrical albums and performance concepts took them through the mid-1970s before they stripped it back and became hard hitting arena rockers in the late 1970s until the end of their career. Along the way, their story is filled with fights, blown opportunities, a bizarre ban from performing in the USA from 1965-1969, and willful neglect in their native UK from 1970 onward while they became massive stars in the USA for the remainder of their career (first as a cult band with a devoted following before exploding into first-rate stars in the mid 1970s). In Ray Davies, the Kinks boasted one of the greatest songwriters of the 20th century and the final member of my Mt. Rushmore of genius songwriters, alongside Lennon/McCartney and Pete Townshend. Ray's ability was unique in that he was the master of character and story songs and could write about the mundane and personal with a mixture of humor, seriousness, and social comment that was still instantly relatable to his audience. This will become more evident as I go through this profile. There are several excellent books on the band and I don't intend to get into a detailed history of the band, as that's not the idea behind these band profiles. If you'd like to read my reviews of them, you can find them (with my other Kinks-related posts) HERE. Rather, I like to give an idea of the flavor of the band for those who may not be familiar, while offering some of my favorite songs and mentioning what the band means to me. During the the earliest period of Kinks history, from 1964-1966, they were a classic singles band, with Ray Davies write hit single after hit single for the band as they ascended to the top of the charts. The breakthrough was their third single, the proto-punk "You Really Got Me," and its follow-up "All Day and All of the Night," which are still gritty and exhilarating all these years later. Imagine what these must have sounded like in 1964! However, Ray's writing matured at a rapid pace and this led to excellent smash singles like "Tired of Waiting For You" and what may be one of the most beautiful songs of all time, the Indian-flavored "See My Friends," with a melody that is so beautiful and with a gentle melancholy in the lyrics that still manages to affect me even after all of these years. By 1966, however, the musical climate was shifting and bands like the Beatles, Who, and Rolling Stones were leading the way from singles-oriented music to more album-oriented. This was manifested most notably with the Beatles' 1965 album Rubber Soul and its 1966 follow-up Revolver before they all but killed singles-based approaches with 1967's Sergeant Pepper's Lonely Hearts Club Band. The Who did the same with 1967's The Who Sell Out and the Stones followed suit with 1966's Aftermath. The Kinks did the same beginning with their 1966 album Face to Face and with that album, began a run of greatness and staggering quality that continued up to and including 1972's Everybody's in Showbiz album. During this time, Ray's writing developed into a distinctly English rock style while always managing to say something relevant. Highlights of this period include the gorgeous 1967 single "Waterloo Sunset," 1968's Village Green Preservation Society Album, and singles like 1969's "Victoria" and "Shangri-La" and the 1970 smashes "Lola" and "Apeman." Quirky singles like "Supersonic Rocketship" and the sublimely gorgeous "Celluloid Heroes" hail from the end of this period and stand against anything else Ray ever wrote. Forays into more theatrical productions led to a slip in commercial performance but still produced some brilliant lost gems like 1973's hard-rocking and ironic "One of the Survivors," the withering comment on urban sprawl in "Demolition," and the absolutely gorgeous ballad "Sweet Lady Genevieve." 1975's "The Hard Way" and "I'm in Disgrace" also warrant mention. The final phase of their career began in 1977 with a back-to-basics approach on the great Sleepwalker album. Several more successful singles came about, not least of which was their final chart-topper, the wistful and catchy-as-hell "Come Dancing." After this, they remained a popular live act in the US and continued to release solid albums although the slow slide in commercial performance concluded with the band folding in 1996. (I want to point out that Dave Davies did write several excellent songs for the Kinks as well and his lead guitar playing and higher-pitched harmony vocals are an absolutely vital and integral part of the Kinks' sound as well. Below are a couple of his best compositions for the band). As for what the Kinks have meant to me, besides the brilliant music and it's classic 1960s English amalgamation of disparate influences, from rock, blues, and R&B to folk to music hall and everything in between, Ray Davies has the rare ability to connect with the listener via his lyrics and the stories they tell. The beauty and sadness of "See My Friends," the reassurance of "Waterloo Sunset," the memories of old friends and old times in "Do You Remember Walter?" and of old times in "Picture Book" and "People Take Pictures of Each Other" (with the great lyrics like "people take pictures of each other just to prove that they really existed"). Ray touches just about everything, from longing to get away from city life ("Apeman"), longing for simpler times ("Autumn Almanac"), appreciated the simpler things in like ("Sunny Afternoon") and wondering if he's cut out for things ("20th Century Man"). And some of his stories are just downright humorous, like the tale of a man who falls in love with a man in woman's clothing as in "Lola." Additionally, he was, along with Townshend and Lennon/McCartney, one who inspired me to start writing my own songs when I was 13...I continue to write songs to this very day and Ray is a huge reason why. As you can see, I absolutely love the Kinks and their music has meant a lot to me, not only my enjoyment of it but the cerebral and wry way in which Ray can make a point and the band can translate it through the music. If you're a fan, I hope you enjoyed this post and if you're not, have a listen and I hope I've encouraged you to join the Kinkdom! The Kinks are the Bomb! And Ray Davies is a master songwriter. His lyrics have the ability to touch your heart, to remind you of things past, to think about the environment, to look forward to the future, to laugh, to cry and to appreciate irony. What a songwriter and what a band. God Save The Kinks. I totally agree! Even his songs dealing with the most mundane sort of things have a way of really connecting on a deeper level than just what they describe. He's got a way of evoking emotions and memories that is very profound. And let's not forget than as a band they were great musicians, too! Agreed, God Save the Kinks! Absolute gems such as "Full Moon", "The Way Love Used To Be", "Headmaster", "Oklahoma USA", the whole Preservation Act II, etc. etc...All of us Kinks fans have been vindicated with the increasing and full appreciation of this band!! Absolutely! It's amazing how many even supposed "big" fans I've talked to over the years only really know the hit singles from the 60s and early 70s. The friends of mind I've turned on to the band end up being blown away by the sheer number of quality songs and deep album cuts from all eras of their career...as you said, it's nice to see them FINALLY get the full appreciation they deserve after we've all been keeping the flame burning for so long. always loved the Kinks------bottom line though-ARE THE REMAINIG MEMBERS EVER GOING TO TOUR AGAIN??? No clue! I wish they had before Quaife had died although they could still get Dalton or Rodford in on bass. They're always so conflicting...sometimes Ray says he wants to, then Dave says no way, then the opposite. They better hurry up, Ray is 70 this year! Hey, I couldn't include them all :). You're certainly right, though...Days is a fantastic song, really gorgeous. I totally agree! That's how I break down their classic period as well, although lately I've got a new appreciation for the two Preservation albums and I'm *this close* to including them in their run of brilliance. Damon Albarn and the Heavy Seas: Boston Awaits!